Last year members came through with 76 quilts for two organizations Community Crossroads and Liberty House. I would like to do the same this year. The first organization is Believe Anything and Everything is Possible which assists patients going through cancer treatment. They are looking for lap size quilts to use during treatment. It was recently brought to my attention that High Pointe House Hospice is in desperate need of lap size or twin size quilts. 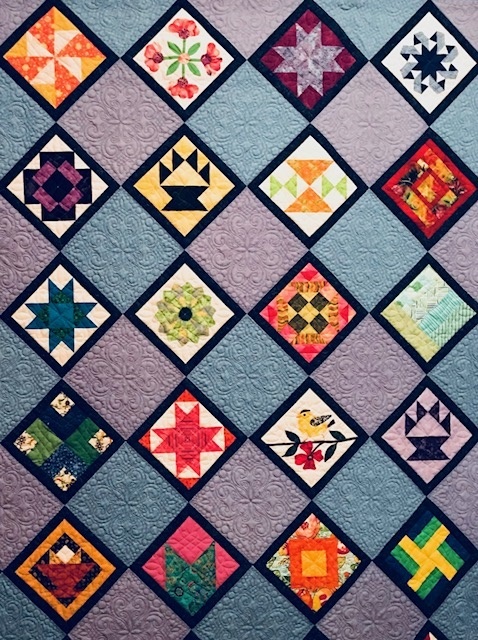 I would appreciate keeping these groups in your hearts and minds for comfort quilts this year. Ronnie Longwell will be taking care of comfort quilts for me. Also, it is with great sadness that I have to resign as your Vice President. My husband applied for and accepted a job in Michigan so I will be moving after the first of the year. I have loved being a part of this guild from the first meeting when Liz Swan and Diane Desjardins made this new member feel welcome to becoming friends with so many. New members can flourish with the help of established members and I am proof of that. I have been happy here and learned so much. My quilting skills have definitely improved. Having said all this the quilt show is a passion of mine and I would like to honor my commitment to work the 2019 show. Ann Hockmeyer is willing to be vice chair and assist Wenonah in my absence but I will come back in September. I will miss you all.